While the filmic exploration of female subjectivity and agency is a recent trend, identity has been a theme since the earliest period of African women’s cinema. 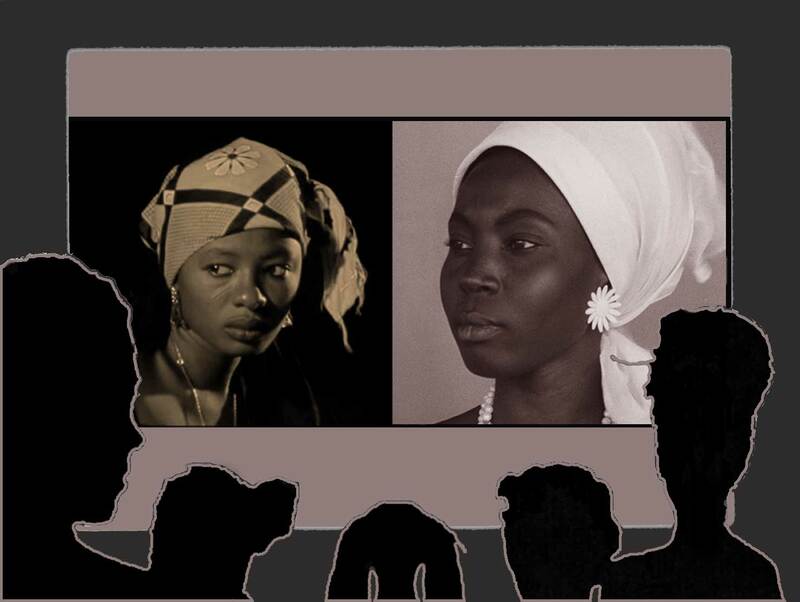 Pioneer Safi Faye’s first film La Passante made in 1972, relates the experience of a young Senegalese woman living between two cultures. Faye acts as the main character, using Paris as the setting. In a very personal way, the film echoes her own experience as a woman "divided between two cultures—French and Senegalese”, to use her own words to describe the context at the time—just a decade after independence. Now, more than a generation after African independences, an Afro-European presence is emerging among filmmakers who continue to negotiate bi-cultural, mixed-race identities by exploring the tensions, ambivalence and ambiguities in the political, social and emotional fabric of their environment; as they attempt to relate their desire to know and understand their own multiple layers and that of their history. "Afro-European" in the context of this discussion includes Africans who have migrated to Europe and now make it their home; Africans who were born and/or raised in Europe; those who have both European and African parents. In Isabelle Boni-Claverie's film Pour la nuit (For the Night, 2004), set in France, race is an apparent signifier. But yet, Boni-Claverie states that the film was to originally take place in her native country, Côte d’Ivoire and that the male character was to be cast as an Ivoirian; thus, the film scenario was adapted to the change in film location. For her the site and casting change makes no difference to her story--a young woman buries her mother, a young man buries his life as a bachelor; however, for the viewer the change relates the film in a very different way. Similarly, British-Nigerian Ngozi Onwurah views her film The Body Beautiful (1991), set in Europe, as having a particular African film language while her film, Monday’s Girls (1993) set in Africa with distinct African signifiers, as a specifically European film in terms of its narrative. 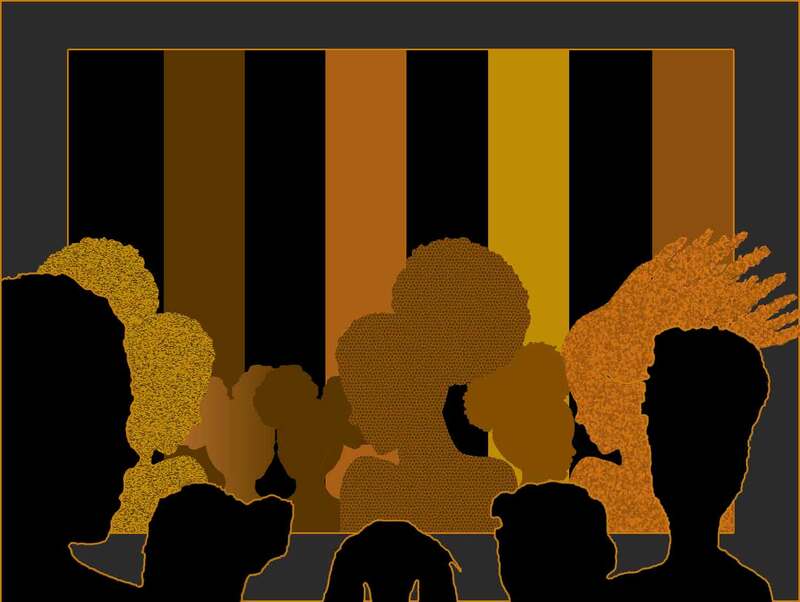 Moreover, there is a clear refusal to contextualize their films within a racialized lens or a Europe-Africa binarism. Then there is the film, Sous la clarté de la lune (Under the Moonlight, 2004) by Apolline Traoré from Burkina Faso—if one looks at the film in a racialized context, one falls into the box from which Onwurah and Boni-Claverie try to escape. And yet the narrative is driven by the underlying question of culture in the context of race. The young Martine has become someone very different, having being raised in Europe by her European father, rather than in Africa by her African mother. The question of African values becomes the crux of the film. 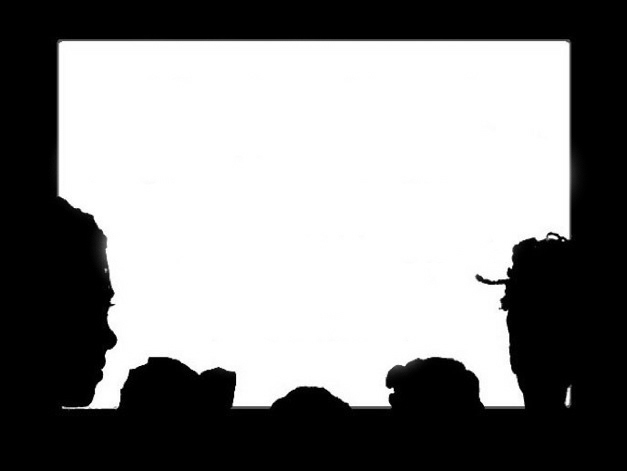 A subtext of the two films, Sous la clarté de la lune and Pour la nuit, is death and separation from the African mother. A bi-racial girl/woman raised in Europe, the African-European girl/woman connected to her European father. Muriel, raised by her African mother in France, is ashamed of her mother’s African-ness, her mother’s speech, her voice. Both father and daughter reveal to each other for the first time, at the site of the African woman’s reposed body, the tensions that surrounded their relationship to her African-ness. The father accuses the daughter of being ashamed of her mother because she was African; the daughter accuses the father of not really being interested in understanding his wife, knowing her deeply, knowing who she was. Though this beginning is only a brief part of the story, it provides the context for the emotional drama that ensues. The remainder of the film traces the emotional journey of Muriel and a young white man who she encounters along the way. Thus the two contemporary films situate in oppositional relationship the origins of the parents of the bi-racial characters—Africa-Europe—and while this tension is not the main thrust of Pour la nuit, it is for Sous la clarté de la lune. In the latter film, the uprooted Martine, upon her brief return to Africa, discovers her African roots through her mother, though she does not realize the woman’s relationship to her, as she was taken away by her father, while still a baby. The mother suffered a double loss, her daughter and her voice, as the trauma of the kidnapping rendered her mute. The mother rediscovers her daughter only to lose her again to death. The documentary film, Les enfants du blanc, points towards a trend of reinscribing race at the intersection of postcolonial discourse and the ongoing tension of colonizer/colonized positionality. French-Burkinabé, Sarah Bouyain, uses her own mixed-race identity to explore the lives of her grandmother and great-grandmother. The latter, forced into concubinage with a French colonial during the first decades of the 20th century, gives birth to Sarah Bouyain's grandmother, a mixed-race woman who grew up in Burkina Faso. While the film traces this colonial practice and its aftermath—the treatment of mixed-race offspring of French colonials—it also indicates a trend among a contemporary generation of Afro-Europeans to deal with the subject of Afro-European metissage as identity. As early as 1988, Nigerian-British Ngozi Onwurah explores her experiences growing up as a “coffee-coloured” child in all-white Newcastle, England. She continues this exploration in The Body Beautiful, casting her mother, Madge, a white woman, in a multilayered story at the intersection of race, normative standards of beauty dictated by the dominant culture, and breast cancer—of which her mother is a survivor. Nigerian-Welsh Branwen Okpako’s films, Searching for Taid (1997) Dirt for Dinner (Dreckfresser, 2000) and Valley of the Innocent (Tal der Ahnungslosen, 2003) also explore racialized identities. The first two films are investigative documentary dramas. Searching for Taid traces the experiences of her brother, Edore Okpako in search of his Welsh identity. Dirt for Dinner is a thriller of sorts about Afro-German Sam Ngankouo Meffire, a model citizen, police-of-color turned bad—which in part has to do with the torment he experienced after he learned about his African father’s fate. The fiction film Valley of the Innocent, also set in Germany, explores mixed-raced police officer Eva Meyer, who grew up as an orphan, in search of her parents’ identities. Her investigative work leads her to her mother. As African women use cinema as a vehicle to express their experiences and show their vision of the world, geographies are transcended, boundaries blurred, nationality and country extended, identity becomes multiple but also fragmented, their cinematic gaze reaches within and beyond. They examine their social, political and cultural location, contextualized within the larger framework of postcoloniality—encompassing a Duboisian, “double consciousness”, a Fanonian, “black skin white mask”. Eliaichi Kimaro: Tracing her Tanzanian roots in "A Lot Like You"
…Pour un clap de fin de l’ancienne formule, les Recidak ’96 ne pouvaient trouver un thème plus symbolique : « Femme et cinéma ». Comme pour donner la dernière parole aux femmes professionnelles de l’image afin de tirer le bilan des Recidak et envisager l’avenir du cinéma africain ; mais surtout rendre au hommage mérite a leur doyenne, Madame Annette M’Baye d’Erneville qui, à 70 ans, cède la flambeau à l’Etat. L’atmosphère en la circonstance, était empreinte d’émotion. Les femmes ont du reste bien compris la responsabilité qui leur incombait pour la relance du cinéma africain : tant et si bien qu’à l’occasion du colloque, elles ont débattu de thèmes préoccupants : la place et le rôle de la femme dans le cinéma sénégalais (par Oumarou Diagne) ; tentative d’approche sociologique du cinéma des femmes négro-africaines (par Osange Silou) ; problématique d’une écriture féminine du cinéma « femme et cinéma » (Par Martine Condé Ilboudo) etc. (Ndlr. Le haut niveau des communications livrées par les femmes du cinéma mérite que nous revenions sur le sujet dans un numéro spécial en préparation). Mieux, les femmes réunies à Dakar ont décidé de créer un collectif dénommé « initiative des femmes pour le cinéma » basé sur la solidarité et l’entraide pour l’aboutissement de projets individuels (écriture des scenarios ; soutient logistique, échange d’information, etc.). D’où le slogan désormais célèbre inventé par les femmes à Dakar : quand les femmes du cinéma se mobilisent le cinéma africain bouge. Tout un programme ! Recidak 96 : Quand les femmes du cinéma se mobilisent | When women of cinma take action. 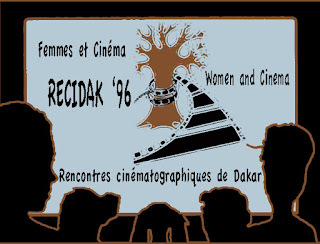 Recidak, created under the auspices of the Consortium of Audiovisual Communication in Africa by Madame Annette Mbaye d’Erneville in 1990, operated independently until 1996. Recidak ‘96 would be the last version under its current form before being relocated to the Senegalese Ministry of Communication. Hence, there was a bit of symbolism in the theme of this edition: “Women and Cinema”, as if to give the women professionals of cinema the last word, as a way of taking stock of its accomplishments and envisioning the future of the industry. And above all to pay a well-deserved homage to their elder, Madame Annette Mbaye d’Erneville, whose lifetime work has been for the promotion of culture in Senegal. The level of emotion was high, as the women understood the role that they would have to play in moving African cinema forward. During the colloquy, several themes were addressed: the place and role of women in Senegalese cinema (by Oumarou Diagne); towards a sociological approach to the cinema of Black women (by Osange Silou); problematizing women’s cinematic writing as it relates to “women and cinema” (by Martine Condé Ilboudo), among others. (Editor’s note: the high quality of papers presented by the women in cinema deserves more attention in a special issue in preparation). At the conclusion of the seminar a resolution was proposed for the creation of a collective, entitled “women’s initiative for cinema” based on solidarity and mutual support for the completion of individual projects (scriptwriting, logistic support, exchange of information, training workshops).